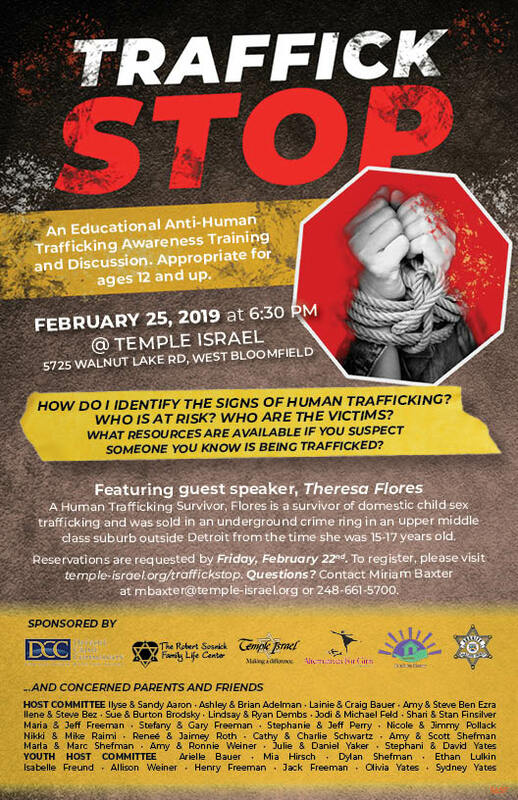 Please join us for this educational anti-human trafficking awareness training and discussion, featuring guest speaker, Theresa Flores – a local Human Trafficking survivor. Flores was sold in an underground crime ring in the affluent City of Birmingham, Michigan, from the time she was 15-17 years old. 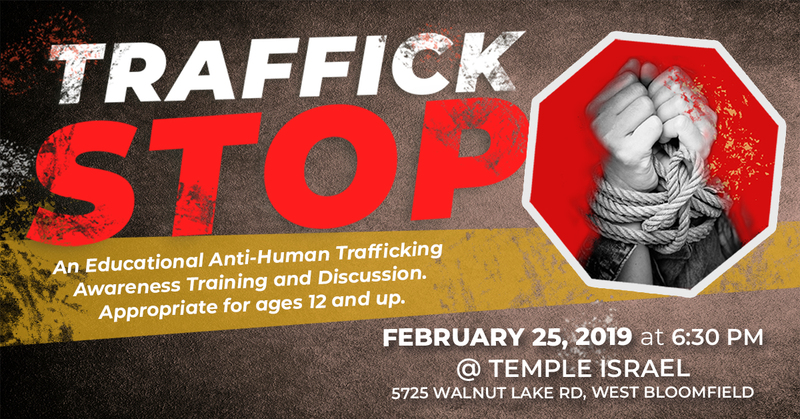 Free and open to the community, but please register below by Friday, February 22nd.